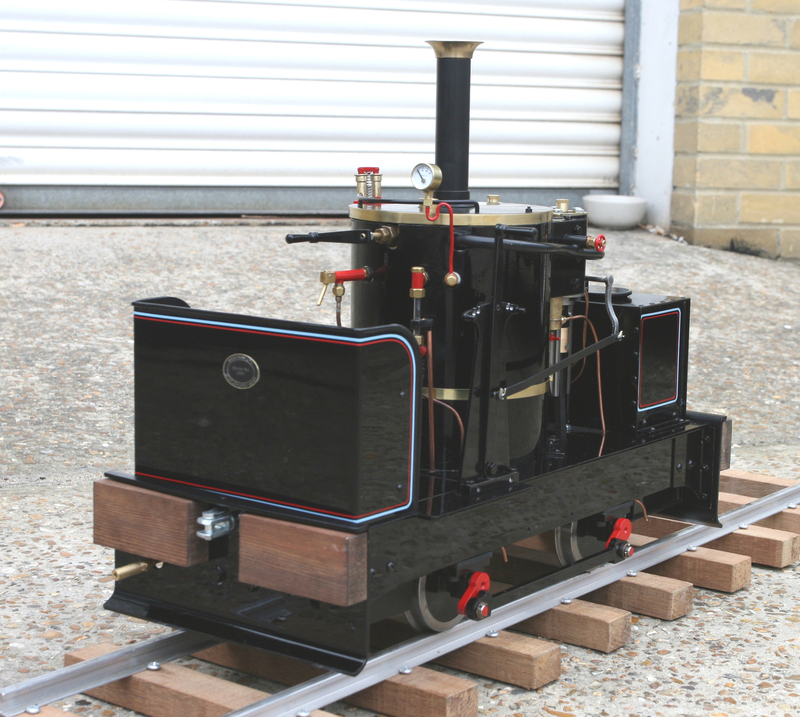 Chaloner is a vertical boiler narrow gauge locomotive built by De Winton for use in the Welsh slate industry in 1877. It survives in preservation and is one of the oldest locomotives in working order. Our model has the distinctive twin cylinder De Winton set up with direct drive to the front axle. Piston valves are used so as to maintain the correct look of the cylinder block with the valves tucked between the cylinders. There is full Stephenson’s link valve gear as on the full size engine. The boiler comes gas or coal fired and is of welded copper construction, fully lagged. The boiler is fed from the front water tank by an electric pump, with a hand pump in reserve. There is a displacement lubricator of large dimensions tucked in inconspicuously beside the cylinders, other fittings are whistle, cylinder drains, pressure and water gauges, etc. This engine will pull up to three people on level track, and in gas fired form is a very easy engine to manage. The 5 Inch Chaloner is available as an unpainted kit, painted kit or ready to run model. Coal fired boiler is an additional cost.